Designed with decorating in mind, this gorgeous Grand Spruce is exquisitely layered with soft, conical molded plastic tips. With a wide, layered shape and very strong branches, this Christmas tree is ready for ornaments. This tree also features the Brilliant Lighting System: finger shaped light strands unobtrusively extend a light to almost every tip, giving you a brilliantly lit tree without any unseemly wires. Shaping this tree right out of the box is made easy with each layer tied separately. *Grand Spruce 7.5 Feet pictured. 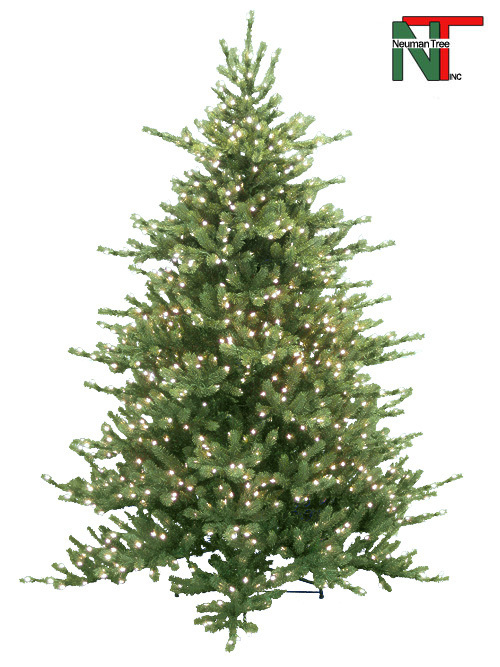 200 replacement lights are included with each tree, as well as two tree stands (for shaping, or converting your tree to a smaller size). Click here for tips to maintain your artificial Christmas tree. Click to change the main image.